I visited Akihabara twice while in Japan. Once was for a meeting with a client company that was based there and the other was when I was exploring. This area is known for a lot of entertainment associated with animation and it has a lot of visitors that are into comics and animation. It also seemed to have a large number of people playing Pokémon Go judging by the way they were all standing around playing with their phones. I did see one guy with a phone and a tablet in both hands so he could play two games at once I guess. I’ve never played the game so I can’t speak to whether it is good or not but it still seems to be really popular. 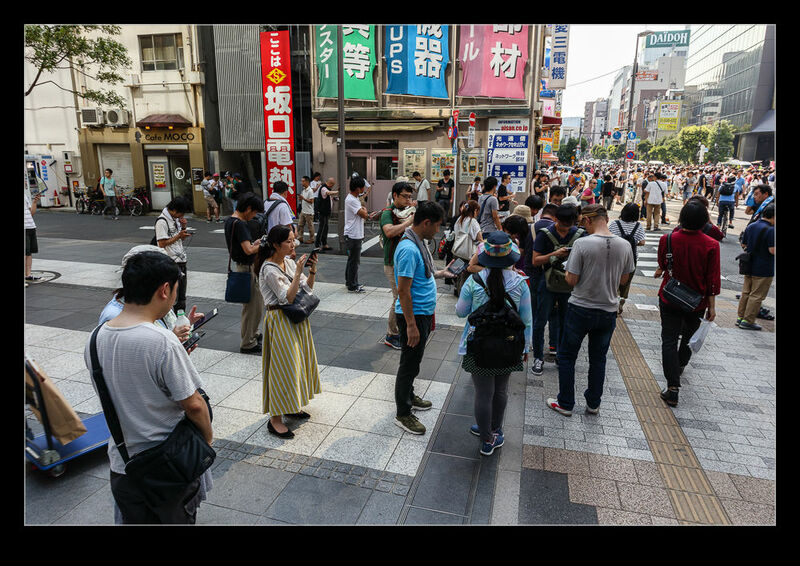 This entry was posted in photo, Travel and tagged Akihabara, Japan, photo, play, Pokémon go, street, Tokyo. Bookmark the permalink.